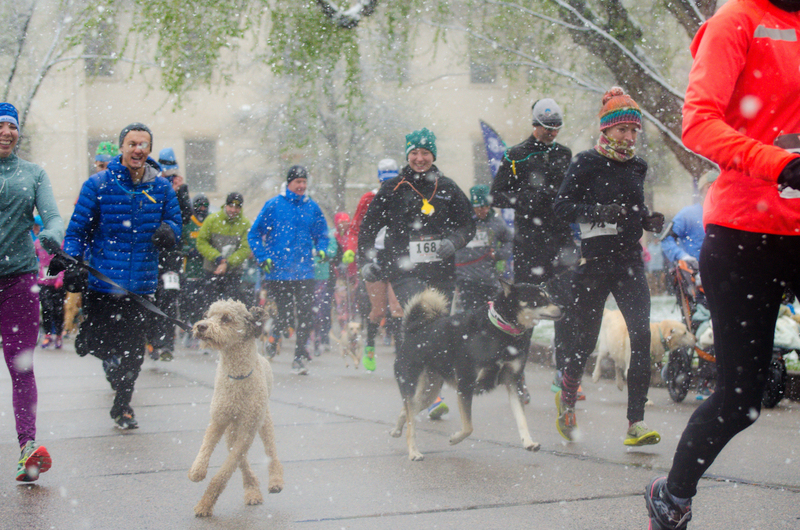 The Fast and the Furriest 5K is a dog and family-friendly event organized by the students of Colorado State University’s Doctor of Veterinary Medicine Program. Proceeds from the event go to the Companion Care Fund which helps people pay for life-saving veterinary care at the Veterinary Teaching Hospital. This event is loads of fun as people form teams, wear costumes and all the while surrounded by tons of happy dogs pumped to do their favorite thing: go on a run/walk. Following the race will be an event expo with vendors, awards, food, a raffle, and a silent auction. The Fast and the Furriest 5K is a family-friendly event for individuals and their furry friends of all ages and abilities. 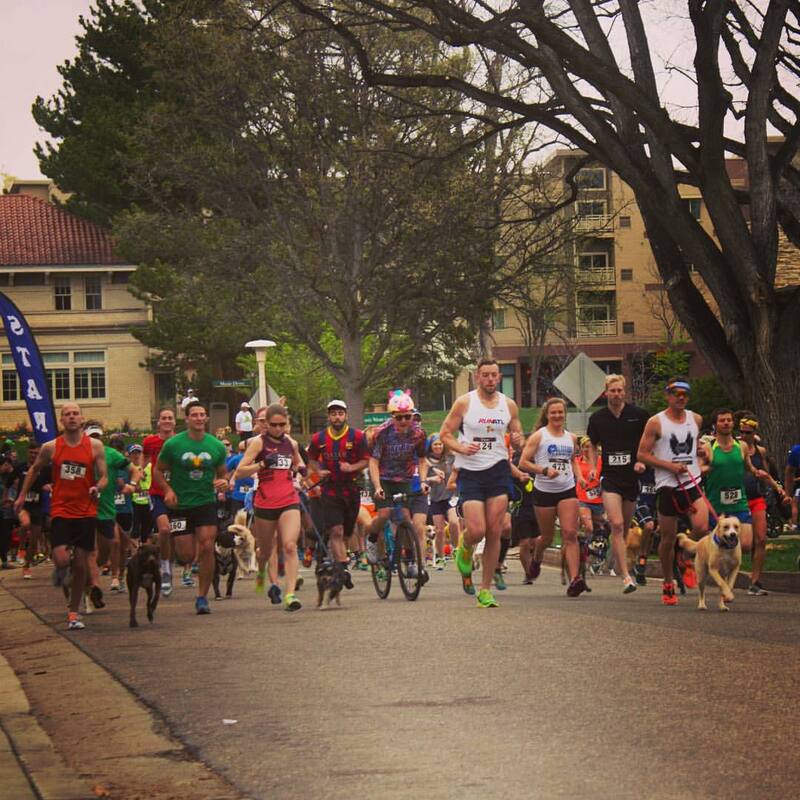 The race will feature chip timing on a certified course, doggie swag, awards, a silent auction, and many giveaways. All participants will receive a goody bag. Awards will be presented to the top three male and female overall finishers, the top team, the top dog, and more. The event is organized by students in the Doctor of Veterinary Medicine (DVM) program in the College of Veterinary Medicine and Biomedical Sciences at Colorado State University. 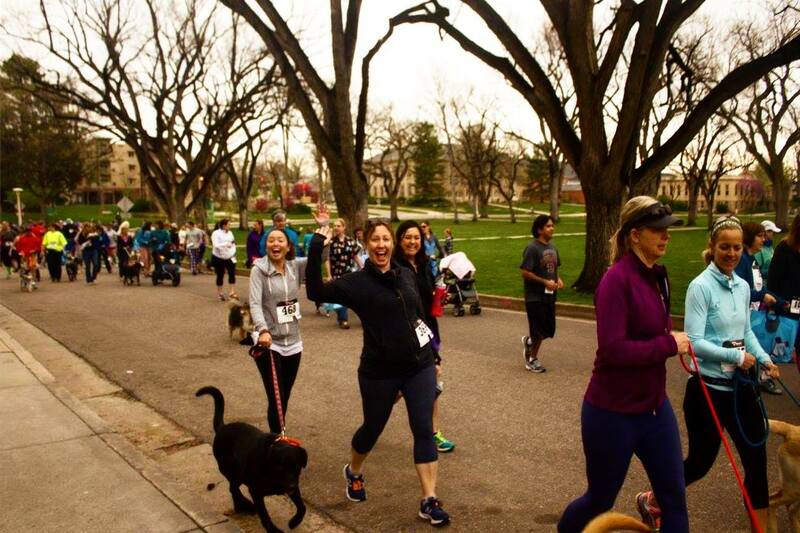 Proceeds for the Fast and the Furriest 5K benefit animals in need of emergency or life-saving treatments through the Companion Care Fund at CSU's Veterinary Teaching Hospital. The Companion Care Fund provides community members with financial assistance for procedures performed at the VTH that they otherwise could not afford. 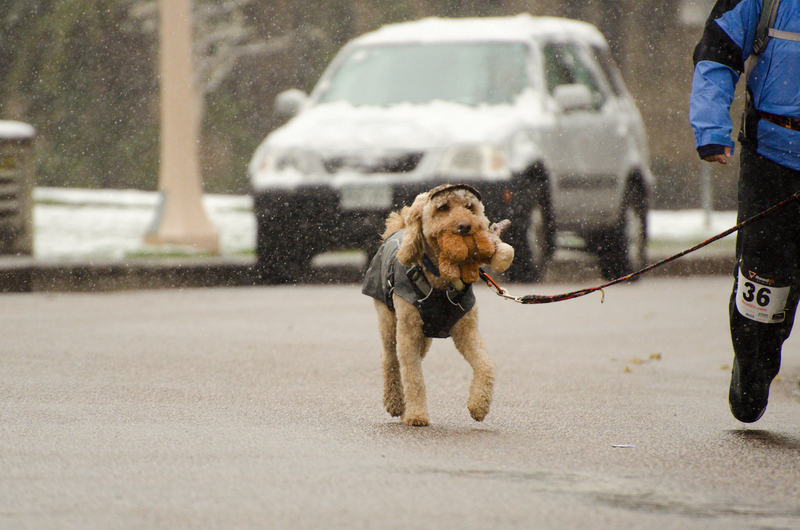 Dogs and runners should be prepared to run the 5 kilometers (3.1 miles) in clothing suitable to whatever weather April brings. An event expo and registration booths will be located on the southwest corner of the Oval, near the finish line. Registration is required for those who want to race the 5K. Participants must complete a CSU waiver. Participants under 18 years must have a parent/guardian sign their CSU waiver. All youth ages 12 and younger are invited to race around the CSU Oval, a quarter-mile distance. This is a free event. Please note that packet pick-up will close at 8:45 AM on race morning – make sure to allow yourself enough time to park, pick up your packet and event goody bag! All athletes must be present at packet pick-up. All athletes must provide photo identification and complete a CSU waiver to participate in order to receive a packet. All athletes must check-in at the timing chip pick-up table on race day morning to retrieve their timing chip. All teams, please have your team captain check in at team registration so you can let us know you are present, let us know how many dogs you have, and show us your costumes. Points will be awarded only to teams that have checked in at registration prior to the race start. Individual team members can get their race packet independent of their team. Teams must have 4 or more members to compete as a team. Photo identification, water bottle, pet waste bags, and a leash for your dog. 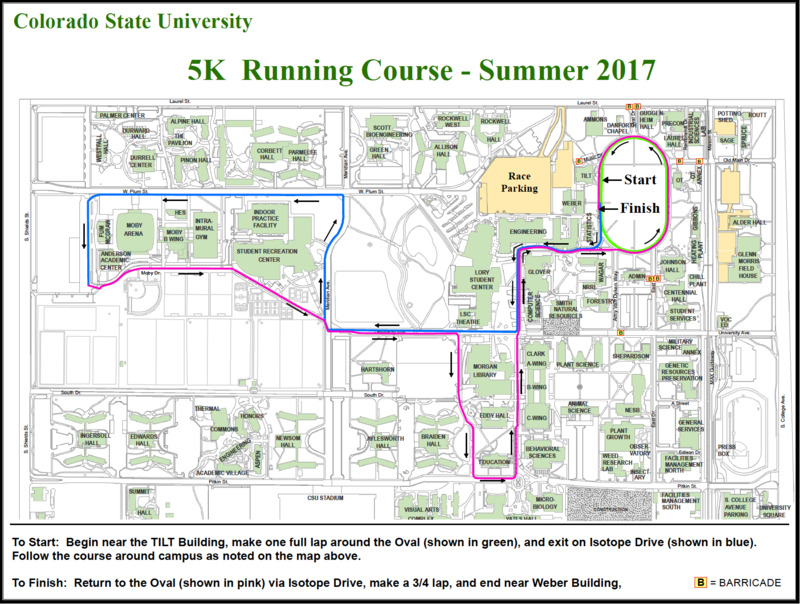 This race is located at CSU’s Water Plaza, which is on the southwest corner of the Oval (where Isotope Drive intersects with Oval Drive, just south of the Engineering and Statistics Buildings). Please note that there is no parking on the CSU Oval! We recommend all participants park in lots 310 and 315 near the Lory Student Center. Most “X”, “Z”, or “A” lots are available and free on weekends. Biking is encouraged and there are spots to lock your bike around the expo as well. Please refrain from parking in lot 350, as this will be reserved for our event staff and expo sponsors. Vendors and event sponsors should park in lot 350, located south of the Oval. While veterinary students love all animals, ONLY DOGS will be allowed at the Fast and the Furriest 5K in accordance with our event permit. With such a high volume of participants and dogs that will be present, we want to ensure the safety of all animals, participants, and children at the event. Thank you for understanding. 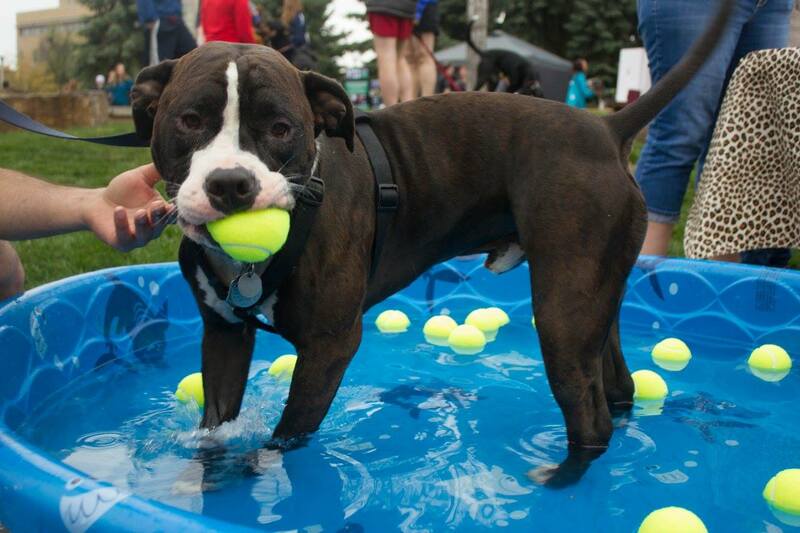 All canine participants must abide by the City of Fort Collins regulations, be up-to-date on vaccinations, on leash, and well-behaved around people and other dogs. Please remember to clean up after your pet and enjoy the race. Will this race be chip timed? Yes, the race will be chip timed. If you want race results and want to be included in the final finish results, you MUST see the registration tent on race morning and pick up your timing chip. Timing chips will ONLY be available race day morning. What time should I arrive on race morning? We recommend participants arrive between 7 - 8 AM to allow for adequate check-in, picking up your timing chip, bathroom time, and parking time. The expo will open at 7:30 AM, where you can check out various canine rescue groups, animal-related brands, sponsor tables, and enjoy some food before the race. Race check in will go from 7-8:45 AM. Restrooms will open at 7:30 AM and are located in the Lory Student Center Building, directly west of the expo and packet pick-up area. There will also be port-o-potties on site. Yes! Well-behaved dogs are allowed and encouraged. Please bring waste bags and keep them on leash at all times. Can I bring my pet cat, goat, llama, snake, rat, mouse, guinea pig, hedgehog, sheep, goldfish, etc.? Unfortunately, only dogs will be allowed at the Fast and the Furriest 5K. 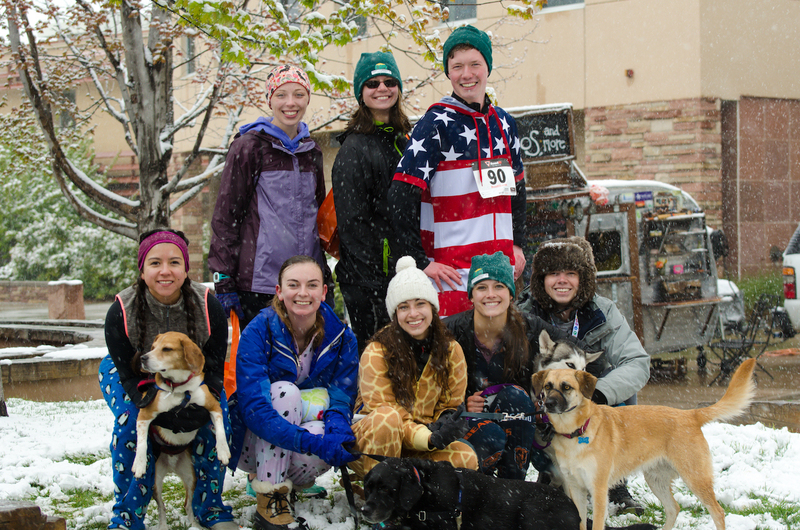 We love all animals at CSU – but our race permit only allows us to have dogs on campus. Will there be food and drinks? What about on the race course? Food and water will be available before and after the race, as well as water bowls for dogs. Aid stations located along the race route will provide water. Unfortunately, all awards must be collected onsite. If you are unable to collect your award, you may have a friend accept it for you, or we will kindly donate your award to our raffle. What’s this about a raffle and the chance to win amazing prizes? 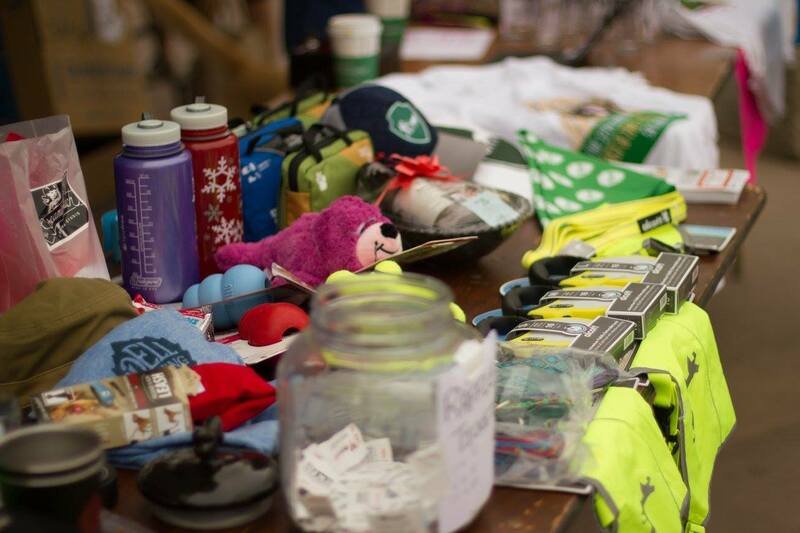 All participants will receive one raffle ticket in their race goody bag, with the chance to provide a donation to purchase additional raffle tickets. The raffle will be held at 10:30 AM after the Awards Ceremony. Participants are encouraged to stick around after the race for the chance to win prizes. Participants must be present to win any raffle prize valued under $50. Raffle prizes valued over $50 will be contacted via email and we will arrange for an on-campus pick-up time at a later date. This year we will also have a silent auction. Tell me more about the team competition! We encourage anyone and everyone to form or join a team for the chance to win bragging rights and prizes. All teams must check in on race day at the registration table, let the staff know how many dogs were brought for each team, and show off their team’s costume/theme to count for points! Teams must consist of four or more team members, to form an official team. Team competition prizes will be announced at the awards ceremony, beginning approximately around 10:30 AM. Similar to high school cross-country scoring, the team with the lowest total points is the team winner. 1. The team score shall be the total of the finishing positions of the top 4 scoring members (i.e. if Team Superdog raced this event and finished in positions 3, 6, 15, and 21, their initial score will be 45). 2. Teams that have between: 5-9 members will receive an automatic scoring bonus of (-0), 10-15 members will receive an automatic scoring bonus of (-15), and 20+ members will receive an automatic scoring bonus of (-20). 3. For every dog brought to the Fast and the Furriest 5K, the team will be awarded (-1) point per dog. 4. For all teams dressed in costume and/or in a theme, each team will be awarded (-10) bonus points. 5. In the above scenario, if this Team Superdog consisted of 13 team members who brought 8 dogs and dressed in a superhero theme for the event, they would then have a total of 12 points.